Thirty US department stores are to place NFC labels on items in their shoe sections, letting shoppers tap a product to find out if their size and preferred colour is in stock and, if not, get details of the nearest store that has stock available or place an online order for later delivery. The thirty stores are all part of the Bon-Ton Stores group and include Bergner’s, Boston Store, Carson’s, Herberger’s, Elder-Beerman and Younkers stores as well as Bon-Ton outlets in eleven US states. Thinaire‘s NFC platform will be used to provide the service, which also enables coupons and other promotions to be delivered to shoppers. 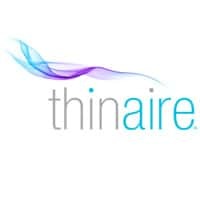 “Delivering dynamic product information through smartphones is just the beginning of the mobile engagement experience,” says Thinaire chief marketing officer Patrick Meyer. “Allowing shoppers immediate visibility into product availability makes the shopping experience more rewarding.